One of the eternal questions is where and how should we search for the best solutions, especially if there are a set of contradictory criteria? This question has proven to be very important in all areas of human activity. When using various methods of optimization in order to solve real-life problems, it is usually assumed that the problems are defined correctly. However, very often this assumption is not true. That is why the obtained solutions may not possess any applicable value. In other words, methods of optimizations are running idle. This happens because experts look for optimal solutions often without realizing that these solutions may not be feasible. In order to search for the best solutions, we first need to define the feasible solution set. This task generally presents serious, at times insurmountable challenges. This fundamental problem has finally been solved with the invention of the parameter space investigation (PSI) method and its successful applications in different areas of science, technology, industry, and education. 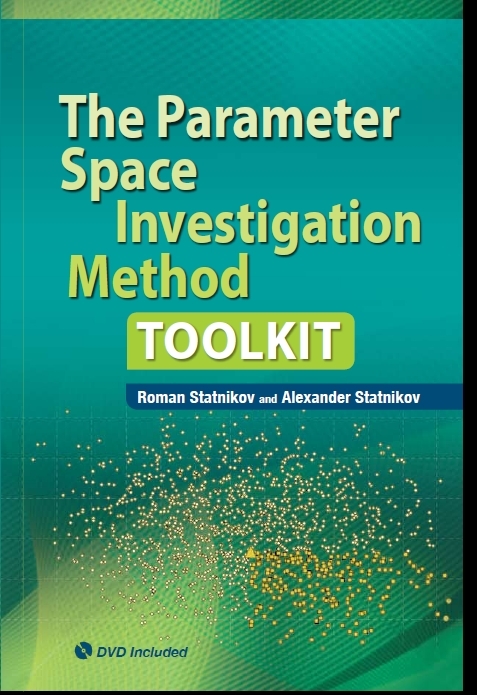 The book summarizes years of experience in formulating and solving real-life problems in various spheres of the human activity using PSI method and MOVI software. The book shows how to apply the PSI method to construct a feasible solution using the necessary number of parameters and criteria. This also book presents visualization tools that are used to construct the feasible solution set, conduct multicriteria analysis, and correct the initial problem statement. 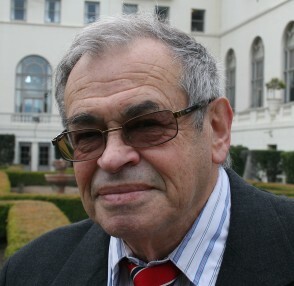 Roman Statnikov is a senior researcher and instructor in the Information Sciences Department at the Naval Postgraduate School in Monterey, California and is also a professor and principal research scientist in the Optimal Design Theory and Methods Laboratory at the Mechanical Engineering Research Institute, Russian Academy of Sciences. He holds a Dr. Tech. Sci. degree in the theory of machines and mechanisms from the Mechanical Engineering Institute, Russian Academy of Sciences. He received a Ph.D. on the same subject from Moscow State University of Railways. 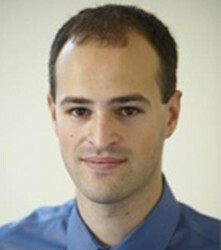 Alexander Statnikov is an assistant professor at the Center for Health Informatics and Bioinformatics, New York University Langone Medical Center. He holds a Ph.D. in biomedical informatics from Vanderbilt University, Nashville, Tennessee. What is this book about? All engineering problems are multicriteria problems in essence. As a rule these problems have a set of contradictory criteria. Therefore we must look for the compromise solutions. One of the eternal questions is where and how we should search for these solutions. This question has proven to be very important in all areas of human activity. When turning to different methods of optimization in order to solve real-life problems, it is usually assumed that the feasible solution set is defined correctly. However, very often this assumption is not true. This is why the obtained solutions may not possess any applicable value. In other words, experts look for optimal solutions often without knowing that these solutions may not be feasible. In order to search for the best solutions, we first need to construct the feasible solution set. This task generally presents serious, at times insurmountable challenges. This fundamental problem has finally been solved with the creation of the PSI method, and its successful applications in different areas of science, technology, industry, and education. Nature of the constraints. Performance criteria (goal functions) (e.g., the fuel consumption, cost, efficiency, and so on) should be optimized. It is desired that, with other things being equal, these criteria would have the extremal (e.g., maximum or minimum) values. Since criteria are contradictory, the definition of criteria constraints represents significant, sometimes insurmountable difficulties. Furthermore, there are functional dependences. Unlike criteria, functional dependences do not need to be optimized. It is required that only their respective constraints are satisfied. We recognize two kinds of functional constraints: rigid and "soft" (nonrigid). For example, standards are rigid functional constraints. These constraints are not supposed to be changed-they are known a priori. On the other hand, "soft" functional constraints (e.g., overall dimensions) can be changed. Quite often the correct definition of these constraints is also difficult for the expert. If functional constraints are poorly defined, many interesting solutions become unreasonably unfeasible. As a result, the feasible solution set can be empty. Functional dependences and criteria depend on design variables (e.g., geometric sizes). Design variables are changed within some boundaries. Quite often these boundaries can be revised, if it leads to the improvement of values of the main criteria. Notice that in real-life problems, the number of functional and criteria constraints can reach many dozens, if not hundreds, and the dimensionality of design variable vector can reach many hundreds and thousands. In the traditional statement of optimization problems, constraints are usually given a priori. However, it is unlikely that such constraints are correct, especially given the high dimensionality of the problems and the complexity of the mathematical model. That is why it is necessary to ensure the correctness of given constraints. Otherwise, the optimization can lead to the meaningless results or equally to the loss of important solutions. Taking into account the difficulties of determining constraints, the feasible solution set can be poor or even empty. Therefore, it is very important to help the expert determine the constraints correctly. Now, let us turn to the example that illustrates the main topic of this book. These days it is impossible to imagine a doctor, even the most gifted one, working without diagnostic tools, such as X-ray, tomography, lab tests, and so on. Likewise, in engineering problems, it is difficult to imagine approaching the challenging tasks without the tools for constructing and analyzing the feasible solution set. The tools that an expert should use to state and solve real-life problems are discussed in our book. The Parameter Space Investigation method. In order to construct the feasible solution set, a method called the PSI method has been created and successfully integrated into various fields of industry, science, and technology. This method has been used in designing the space shuttle, nuclear reactors, unmanned vehicles, aviation, cars, pumping units, ships, metal tools, bridges, wind power system, wireless battlefield networks, energy efficient sensor networks, and robots. The PSI method is based on the systematic investigation of the multidimensional domain. A computer generates multidimensional points (each point corresponds to a certain design). This is accomplished by uniformly distributed sequences, nets, and quasi-random points. Then the computer defines the values of criteria in these points. In a continuing dialogue between an expert and a computer, the constraints are repeatedly revised, and, as a result, the feasible and Pareto optimal solutions are determined. Thus, an expert can assess the price of making concessions in various constraints (i.e., what are the losses and the gains). Prior experience has shown that the expert is often ready to change constraints by having information on a sufficient improvement of the values of the main criteria. An expert obtains such information on the basis of the PSI method. In the PSI method, stating and solving problems is a single process. Such an interactive mode allows us to take into account the experience and knowledge of the expert. As a rule, using the PSI method leads to the correction of the initial problem statement, including the correction of constraints and the mathematical model. From our point of view, all real-life optimization problems have to be stated and solved in an interactive mode. Sometimes using the PSI method can demand carrying out computationally expensive experiments. In these cases most of computer time is spent on determining the feasible solution set, the correction of the problem statement that eventually leads to obtaining the justified optimal solutions, and there is no way around it. To the best of our knowledge, the PSI method is the only available method for solving the fundamental problem of constructing the feasible solution set. The PSI method is implemented in the MOVI (Multicriteria Optimization and Vector Identification) software system. The PSI method and the MOVI software system can be universally applied to many problems and only require access to the mathematical model of the system or object under consideration. Even when a model is not available, the PSI method can still be applied to an approximate mathematical model that can be derived from observational data using statistical machine learning classification and regression algorithms. The PSI method and MOVI system provide tools for constructing and analyzing the feasible solution set. First of all, these are the test tables. Other tools are tables of feasible and Pareto optimal solutions, histograms, tables of functional failures, and graphs of criterion versus design variable and criterion versus criterion. All of these tools provide us with unique information about: (1) the distribution of feasible solutions in the design variable and criteria spaces, (2) the work of all constraints, (3) the expediency of their modification, and (4) resources for improvement of the object. The number of criteria. This number must be no less than necessary. The greater the number of criteria taken into account, the greater the information obtained about: (1) the resources of improving the object, (2) the performance of a mathematical model and constraints, and (3) the accuracy with which the criteria are calculated and how much one can trust them. The PSI method allows us to consider as many criteria as necessary. For example, in the problems of vector identification, the number of criteria reaches many dozens. Using single-criterion methods to solve real-life problems. In the overwhelming majority of cases, attempts are made to present real-life multicriteria problems as single-criterion problems. In this case, the expert optimizes only one criterion and imposes constraints on other criteria. This approach is appealing because of the apparent simplicity of solving a complex problem. However, there is something else more important that calls in question the competence of this decision. Above all, the complex problem of determining the feasible solution set is shifted onto the expert's shoulders. Unfortunately, the expert is usually unable to do this. As a result of substituting a single-criterion problem for a real-life one, we end up with a problem that has little to do with real life. Therefore, the numerous attempts to reduce a multicriteria problem to a single-criterion problem result in "throwing out the baby with the bathwater." The search for optimal solutions without determining the feasible solution set is substituting myth for reality. In other words, there are two alternatives: do it simply, or do it right. Using single-criterion methods without substantiation of the feasible solution set does not guarantee that the obtained optimal solutions are feasible ones. Furthermore, the expert does not have information about compromise solutions considering all criteria. Multicriteria identification. Usually in optimization problems we assume by default that the adequacy of the mathematical model is beyond question (i.e., performance criteria adequately describe the investigated object). However, in the majority of cases it is not true. For this reason multicriteria identification of mathematical models is of fundamental importance in real-life problems. The central point is the construction of the feasible solution set in multicriteria identification problems. These problems are encountered in the production of machine tools, automobiles, ships, and aircraft, where enormous amounts of money are spent on operational development of a prototype. Questions of the multicriteria identification and adequacy of the mathematical model will be discussed in our book. After the PSI method was developed and used successfully, it became necessary to write a new book where we synthesized the extensive experience of applying the PSI method to a variety of engineering problems. We used it as the basis for a lecture course "Multicriteria Analysis," which is taught in the United States and Russia. The material of the book is set out in a popular, concise form, with a large number of illustrations. The book is intended for a wide circle of readers, from undergraduate to graduate students, to researchers and experts involved in solving applied optimization problems. In summary, the main idea of this book is to demonstrate that the construction and analysis of the feasible solution set are of primary importance in real-life optimization problems. The application of the PSI method and the MOVI software has allowed us to solve many problems that, until recently, appeared to be intractable. The expediency of further applications of various optimization methods, including stochastic, genetic, and other algorithms, depends first on the results of the analysis of feasible and Pareto optimal solutions obtained on the basis of the PSI method. The application area of the PSI method is fairly large. In our book, we will be limiting ourselves to the construction and analysis of the feasible solution set as a basis of engineering optimization problems. We also address our book to all those who deal with real-life optimization in various areas of human activity, including biology, geology, chemistry, and physics.